February is almost here and while it is still cold outside, we are ready to warm with upcoming holidays including Valentine’s Day and Ontario Family Day. This year Mississauga Kids prepared for families an amazing event: Mississauga Family Day Extravaganza. 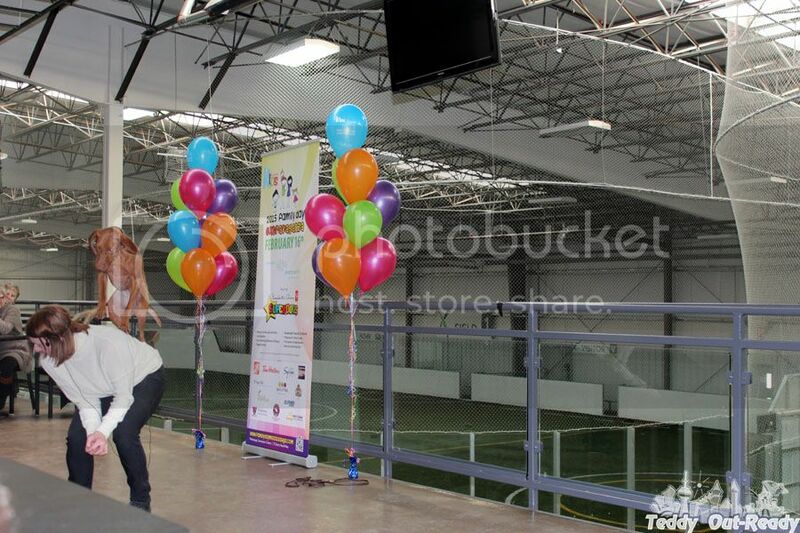 Last month we had an opportunity to attend a media preview and had a sneak peek of upcoming Mississauga Kids Family Day. 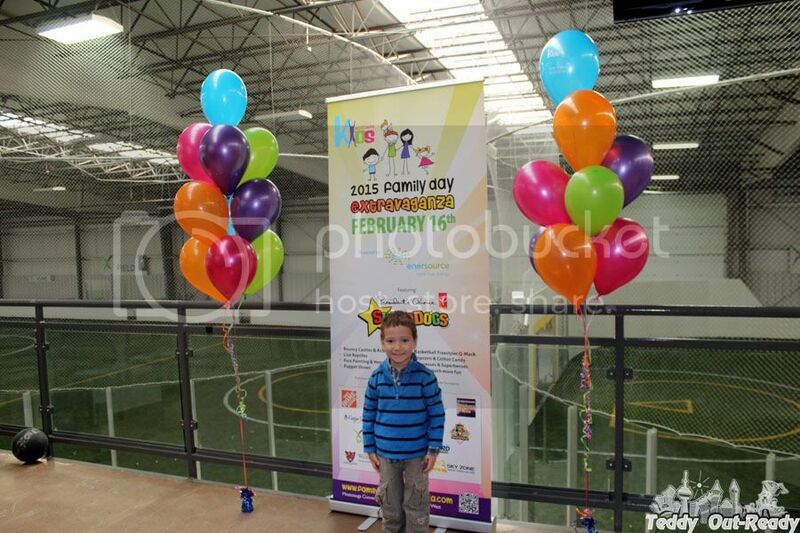 Knowing what a series of activates await families that day I am sure Extravaganza is the right word to express what is going to happen there during Family Day. 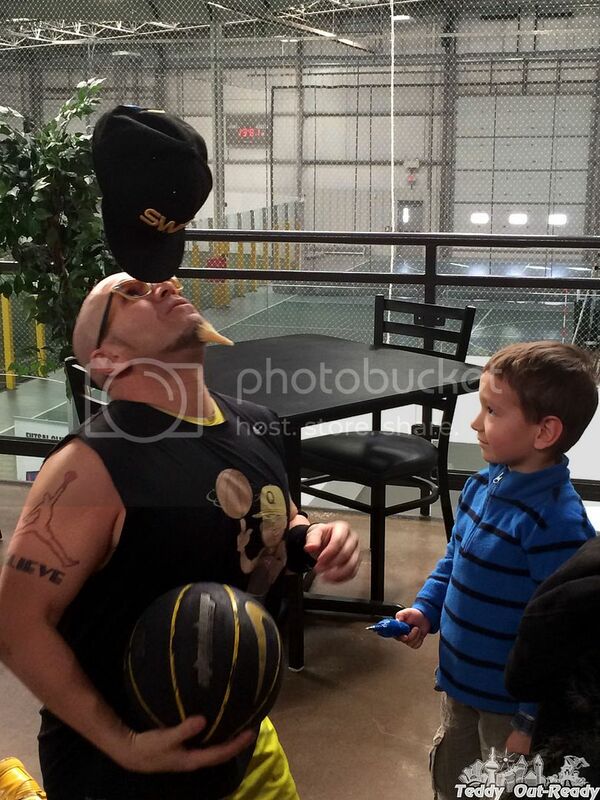 At the media preview we were excited to meet the host of our first Family Day Events Mississauga Extravaganza Q-Mack, a professional basketball freestyle entertainer. His show filled with breathtaking tricks, passes and jumps. 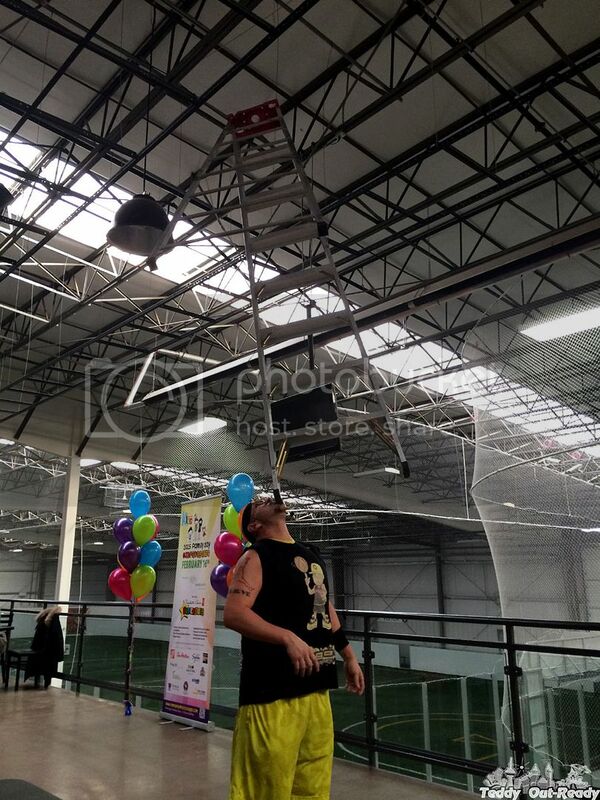 You should see how he can hold a ladder on his chin and other balancing acts at Mississauga Kids Family Day Extravaganza on February 16. Q-Mack along with his friend Canadian Soccer Trick Champion, Magnet are such an inspiration for kids. Their athletic skills are far beyond entertainment, giving children a chance to see what everyone can reach with some practice and perseverance. Do not miss a chance to see them at Mississauga Family Day Extravaganza. After the media preview and meeting with Q-Mack and Magnet, Teddy tried to do some tricks with a ball, so impressive their skills were. Another must-see show is President’s Choice SuperDogs. These amazing performers are cute, skilled and bring entertainment for the whole family. We saw SuperDogs at the CNE last fall, it was so much fun and looking forward to meet them again. Good to know that over 40% of the SuperDogs have been adopted from Shelters or Humane Societies across North America. When Super Dogs are not performing, they are lovely pets for their owners. 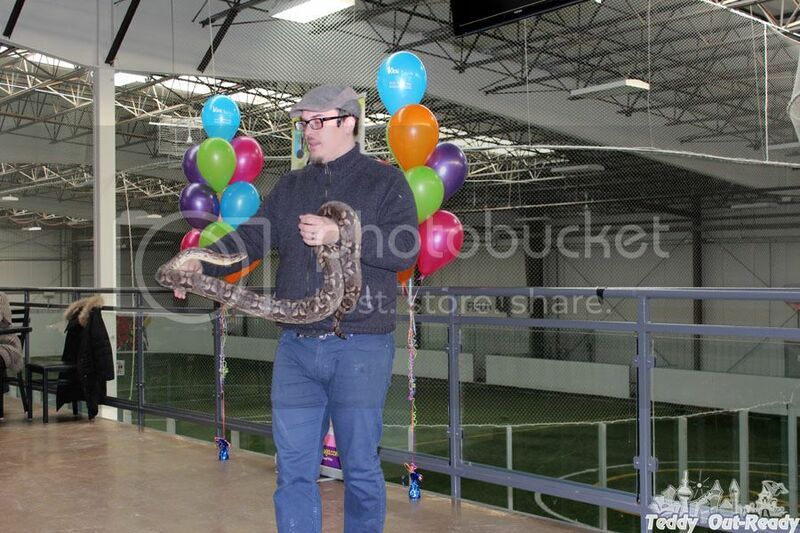 Safari Science will be at the event with their lizards, turtles, tree frogs, spiders and more. Three performances to see real animals, you can even touch them and learn more about their life, habits and favorite meal. Our friend Suzie Sunshine will join Mississauga Family Day Extravaganza with her catchy tunes easy to remember and interactive performance. We love so much her Two Word Sentence and Alligator Purse songs. 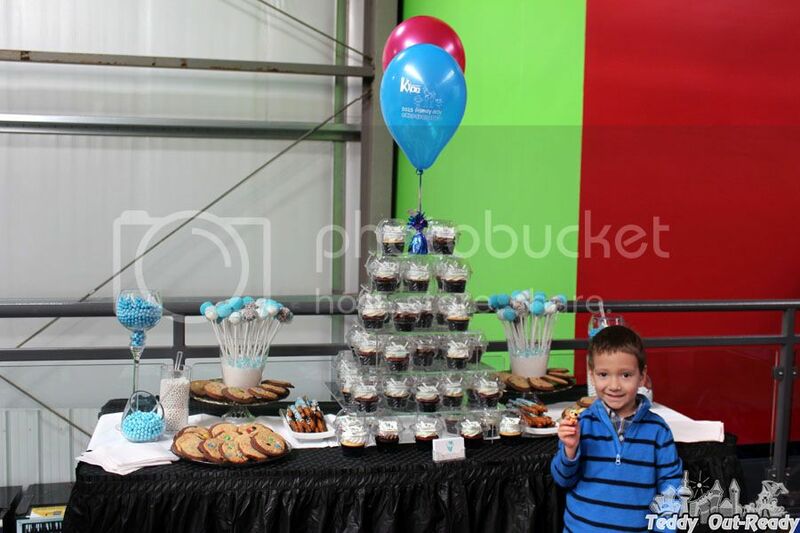 There will be lots of other activities for children including Fun Zone where kids can jump in bouncy castles, meet superheroes, princesses, participate in interactive exhibits, face painting, balloons creations, treats and more. Creative little hands can join Home Depot workshops and build a wooden craft. Mississauga Kids has partnered with a local charitable organization, Breakfast With Santa Foundation and will donate a portion of proceeds to their summer breakfast program. Local vendors will be happy to present their products and services, and the list grows every day. Family Day is an amazing opportunity to spend a day with together. Mississauga Kids Family Day Extravaganza invites you to join them at Mississauga Convention Centre on Monday, February 16th from 10:00 am to 4:00 pm. Get your tickets today for $12 each or family pack of four for $42! Tickets include one SuperDogs performance, plus all other entertainment acts, and access to the bouncy castles, activities, games, superhero and princess characters, building workshops and more. 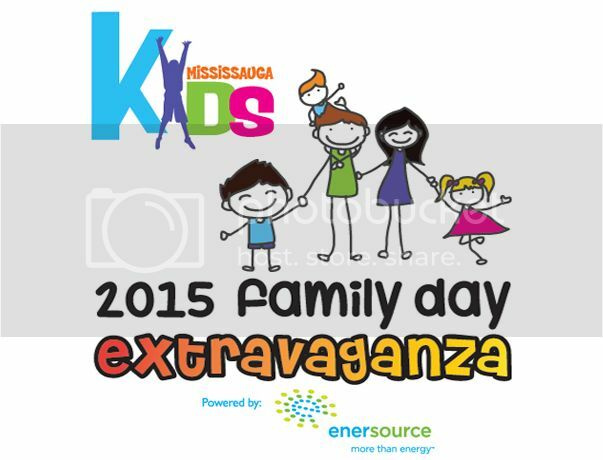 Get ready to have a busy and fulfilling day, see you at the Family Day Events Mississauga Extravaganza. Thanks to Mississauga Kids, we have a fantastic giveaway for our readers, a chance to win a Family Pack to Mississauga Family Day Extravaganza. The giveaway is open to Canadian residents who can attend the event on February 16. The giveaway ends February 9, 2015. Good Luck, everyone! We saw the super dogs show at The Royal. It was so much fun!! My son would live to see it again. my grandson would love to see the Canadian Soccer Trick, playing in the Bouncy Castle and checking out the Safari Science event, he loves animals. I'd love to see Super Dogs. I've heard really good things about it.